Dogs on a leash are welcome throughout any Wilmington park! If you would like to let your friend run free, however, there are several off-leash dog parks in the Wilmington area. The Rockford Park Dog Park offers areas for you and your companion to explore, including a 100-year-old water tower and surrounding trails. Encourage Fido to make some furry friends at the Talley Day Bark Park on Foulk Road in Wilmington, where the area is fully mulched and features many events. Carousel Farm offers an off-leash area where your pup can meet some larger friends, as the farm also hosts equestrian lessons. Water fountains, shade trees, and walking trails are offered by Banning Park’s off-leash dog park area. Whether you’re looking for a quiet park for your dog to run around in and enjoy or a busy place for him to meet other puppy playmates, the town of Wilmington delivers. It’s important to keep your apartment stocked with treats for your furry friend, so make sure you hit the local pet stores to get her everything she needs! Riverfront Pets offers customized, professional grooming, as well as training classes and walking services. The staff hand-picks and approves the brands they sell in the store so you know you’re buying the very best. 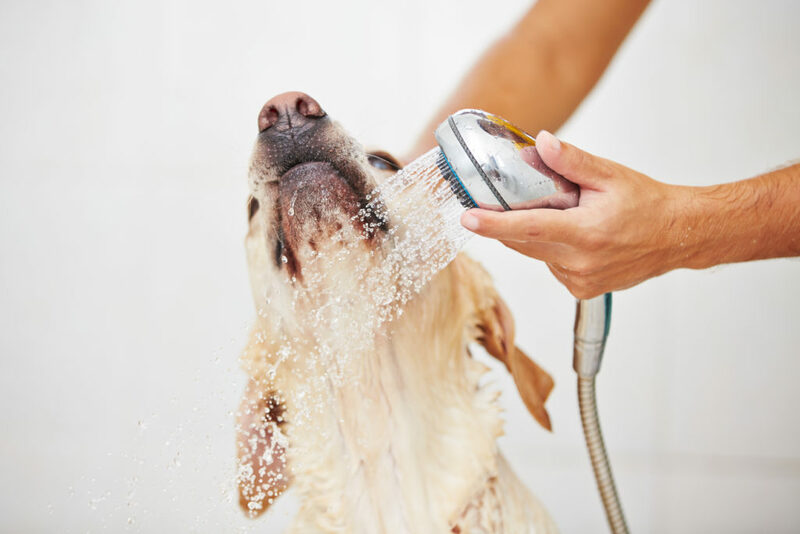 Right around the corner from your new home is Concord Pet Foods and Supplies, which offers an in-store dog wash and low-cost vaccination clinics. The store also offers sales events and donation drives for local shelters. Large chain stores such as Petco and PetSmart can also be found in the area. To keep your furry friend healthy, it’s important to find a good vet close by. In the event of an emergency, you can drive your furry friend to Windcrest Animal Hospital, which is open 24/7. They also offer regular veterinary services in addition to boarding. Many vets and hospitals in the Wilmington area feature glowing reviews for the doctors and technicians, including the Talleyville and Kentmere Veterinary Hospitals. Faithful Friends Animal Society offers veterinary care as well as adoption services, should your furry friend need another companion! We understand that your love for your pet is paramount, as is the care you give them. That’s why we’re dedicated to offering luxury communities perfect for your pet close to all the resources you’ll need to keep them safe and happy. Our residents’ pets are as special and unique as they are, which is why we want every resident—human or animal—to feel comfortable and at-home in our apartment community. Contact us today to tour The Concord’s pet-friendly apartments in North Wilmington, DE! We can’t wait to show you around your new home.